Sometimes you just want give your eyes a vacation. 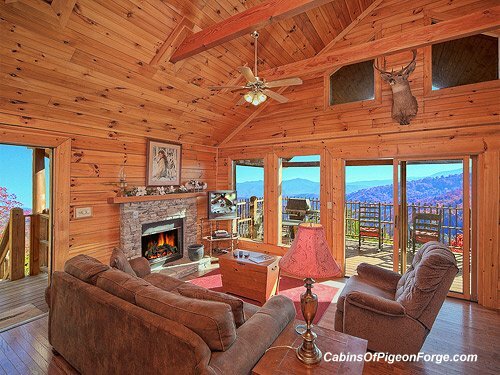 That’s when you need a cabin like Brave Eagle, with a great view of the mountains, easy on the eyes and uplifting to look at, a view to gaze at endlessly. 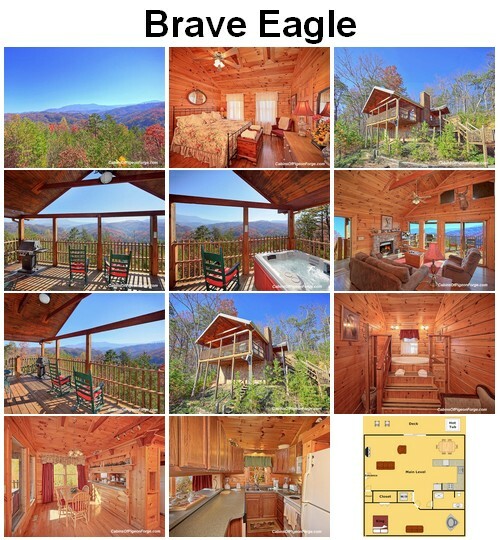 Brave Eagle is located “across the river and through the woods”, west from Parkway, settled just a few minutes from Pigeon Forge and Gatlinburg. Leave Parkway to all its vibrant activity and fun, and take a few winding roads up to Brave Eagle, up in the hills and off to the side of the hustle-bustle, yet close enough to swoop down on all the action in minutes. 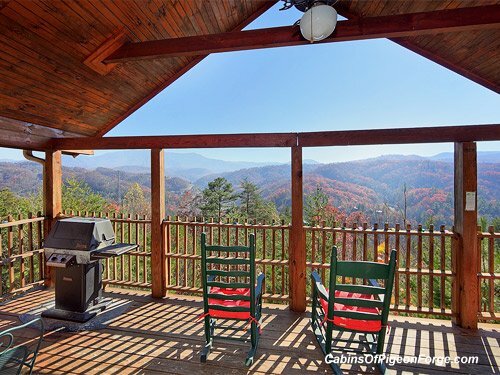 There’s a pool table in this cabin, but no other games – and be warned, no Internet. 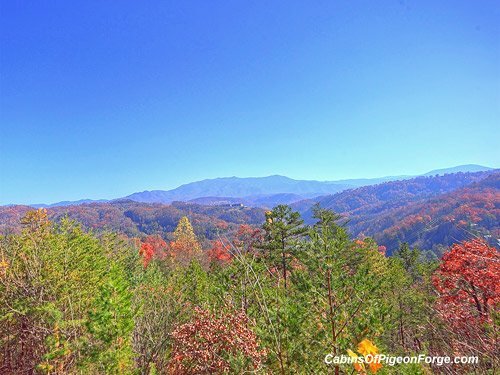 Instead there’s an old-school simplicity, where birds singing and leaves rustling, and a beautiful panoramic view of the mountains, count for something special. Brave Eagle is a luxury cabin simplified to the essentials, and then polished to shine. It’s hardly a rugged life at Brave Eagle, although a 4-wheel drive vehicle is suggested in winter – apart from this, the living is easy. There’s TV and DVD, a gas fireplace – a jacuzzi of course in the bathroom. Hot tub on the deck. 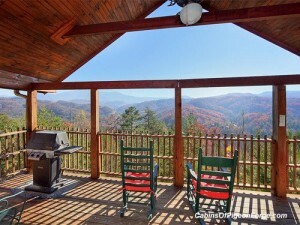 Gas grill, full kitchen, amenities to make a stay comfortable. And out there are the mountains, as far as you can see. 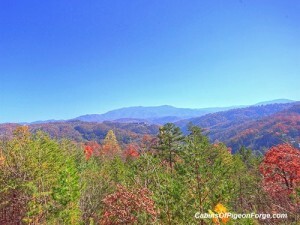 People come to the Smoky Mountains for a multitude of reasons. They have as many kinds of fun in mind as there are fun things to do here – all of them wonderful, and many more things than a lifetime can cover. 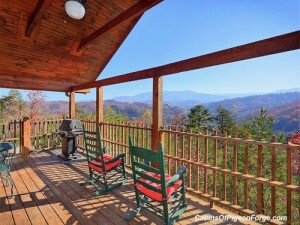 But if you want to sit, and look at mountains, and listen to the air moving, Brave Eagle is calling your name. Sometimes it’s about the view. It’s rest and recreation, rebuilding the spirit, taking it all as a well deserved kind of easy. 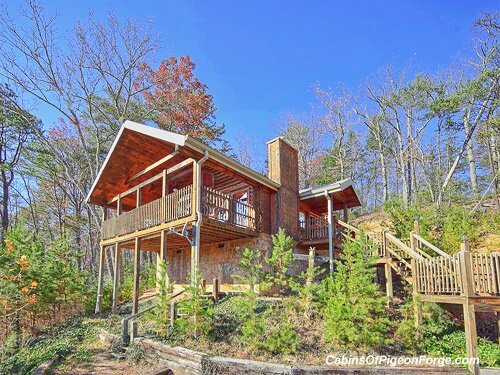 All you have to do is getaway to your hideaway. 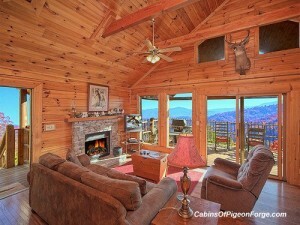 Call us at 855-84-CABIN. The mountains are waiting for you. Click here to check availability and book Brave Eagle for your next trip!